Technical Specification: White rigid PVC coated one side with a transparent resin rubber adhesive laminated with a 30 micron transparent polypropylene for environmental protection. Highly glammable with pictogram/symbol and number three (3) with a border printed in black on a red background. 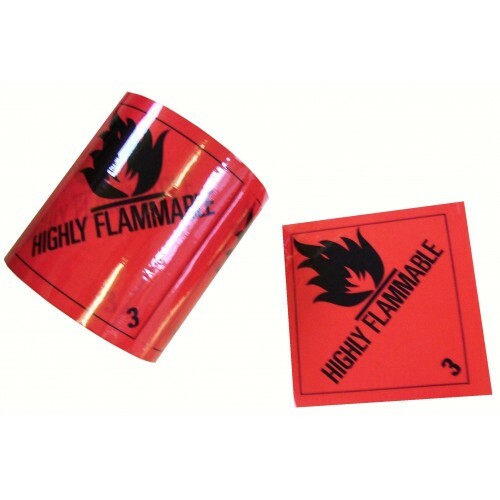 Please note that this product no longer complies with packaging regulations, UN1266 refers to class 3 flammable liquids and has been replaced with the following products: 3 Flammable Liquids Warning LabelsThis product is now only available via our custom print service. Please Contact..